A series of two new pavilions, an open beach bar & a semi-enclosed surf shop. 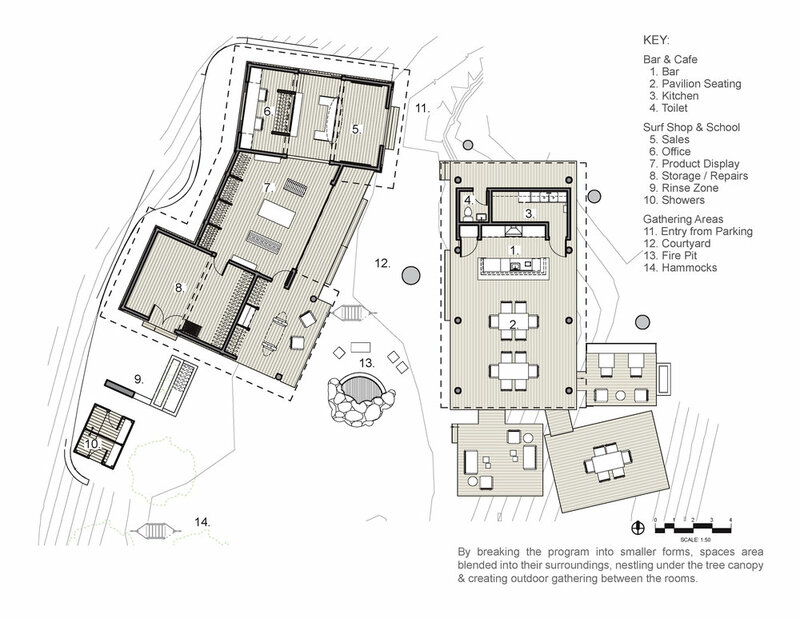 Site sensitive design maintaining the area’s natural assets and integrating outdoor gathering spaces. Full architectural and interior services Custom lighting & furniture design.